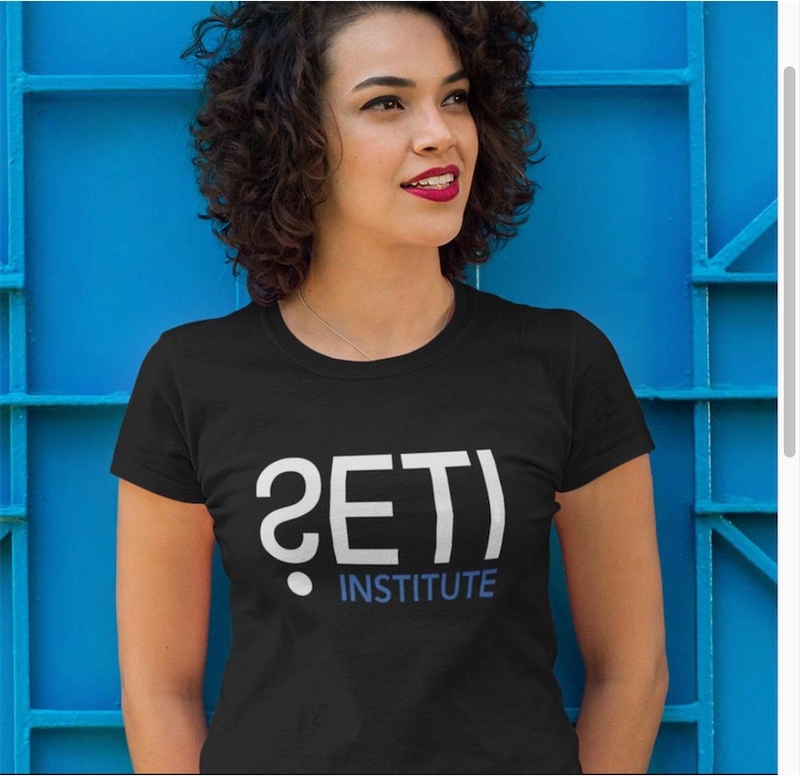 Far out t-shirts that celebrate the SETI Institute! Is there life out there? That's one of the mind-boggling questions that the SETI Institute explores through its scientific research, all the while inspiring our own curiosity and sense of wonder about our place in the universe. SETI stands for the Search for Extraterrestrial Intelligence and the official mission of the organization, founded in 1984, "is to explore, understand and explain the origin and nature of life in the universe and the evolution of intelligence." Support their efforts with these far out new t-shirts from the SETI Institute's Chop Shop Store. Above, the iconic SETI Logo tee. Below, a graphic expression of SETI pioneer Frank Drake's "Drake Equation" used to estimate the number of technological civilizations that could have developed in our galaxy. And lastly, a design honoring the scientists whose pioneering work underpins the search for extraterrestrial intelligence: Galileo Galilei, Johannes Kepler, Carl Sagan, Frank Drake, and Jill Tarter.